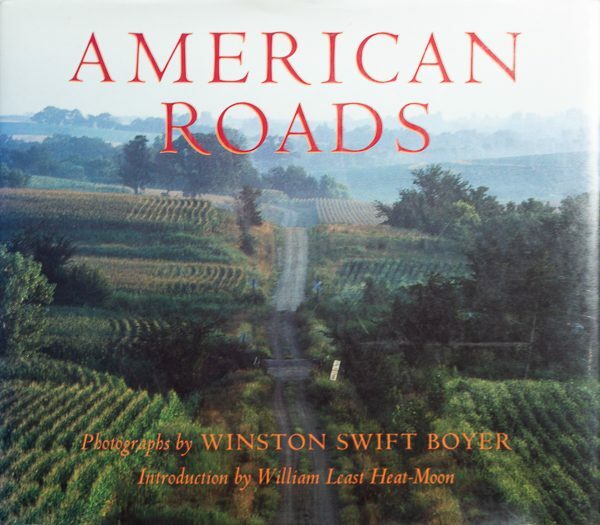 Photographs of roads across the United States by Winston Boyer, published by the prestigious Bulfinch Press in 1989 with an introduction by William Least Heat-Moon and signed by the artist. The “road” has long played a mythic role in our culture, leading to the visions of the American dream given us by Whitman, Kerouac, Frank, and many others. Boyer continues this tradition in a visually arresting and poignant manner. In the introduction by Least Heat-Moon of Blue Highways fame, we are urged not to be lulled by the beauty of the imagery but, rather, startled by the recognition that many of these rural areas are disappearing. In his first compilation, Boyer has indeed produced beautiful images that avoid the nostalgia and sentimentality that are frequent pitfalls of this genre. First Edition, June 1989. First printing, or second printing with dust jacket title Rediscover American Roads. Shipping costs have not been calculated yet. Trident Gallery Editions will contact the purchaser with a quotation for approval.